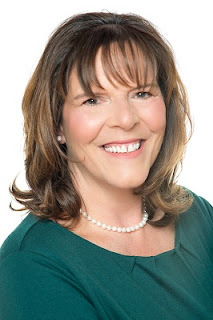 Writer's Corner: Meet D.M. Hamblin! Like many people, writing a novel was on my bucket list. But, daily responsibilities left no time for the luxury of writing. In 1995, the tragic death of a co-worker inspired me to do something audacious. The most audacious thing I could imagine was to write that novel. So, I slid a floppy disk into my clunky computer and became the marionette master of a story about being abandoned when I was pregnant. Through writing, I wanted to watch my daughter’s father suffer a slow and painful death, which I expected to enjoy immensely. I had no intention of publishing the story. After all, it was 1995; self-publishing wasn’t an option. My goal was to purge my wrath. So, I typed like a fiend, spattering my fury all over that computer screen. In the process, astonishing things happened. First, I realized that I had no clue what made my ex-boyfriend tick, even though I had known him for seven years. So, I created an antagonist I could understand. Months later, the tale was woven. My antagonist was broken, regretful and devastated! Ha! Revenge was all mine! Then, the most extraordinary thing happened. Rather than enjoying his untimely demise, I, the marionette master, cried for my antagonist right there before my clunky old computer. In the process, my anger was dissolved. Fiction writers start off as marionette masters. But, at some point in the process, your characters start pulling your strings. When that happens, you learn as much about yourself as you hope your readers will learn about themselves. To my surprise, the catharsis of writing Once Broken taught me the most unexpected lesson … revenge does not taste sweet. Once Broken became a story of love, hate and the power of forgiveness. Jackie Martin develops abandonment issues when her dad dies suddenly when she is ten years old. As a teenager, those abandonment issues translate into an attraction to illusive men, particularly, Tony Salvucci. After a seven year on and off relationship, Jackie becomes pregnant and is immediately abandoned by Tony. As a single mother, Jackie has two objectives: First to raise her daughter with her self-esteem unscathed by her father’s abandonment; Second, to see Tony suffer for his abandonment. Once Broken follows Jackie’s story over a span of forty years. 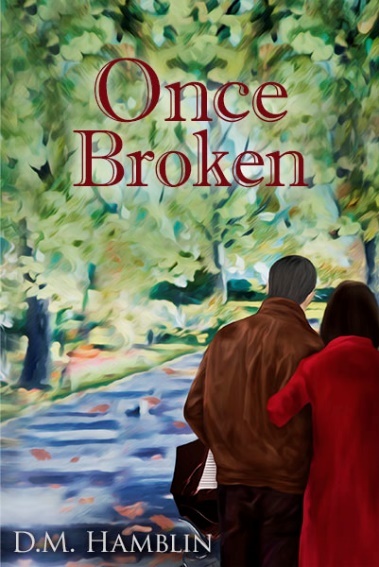 With many twists and turns, memorable characters and nostalgia, Once Broken is an inspirational story about love, hate, forgiveness vs. revenge and living one's life moving forward, no matter how painful the past. You can purchase Once Broken here.